Drug and alcohol abuse are serious problems in the workplace. While employees may feel that substance abuse at home doesn’t impact their jobs, excessive drinking or drug use can put coworkers, clients, and property at risk. In addition to maintaining a strong drug and alcohol testing program at work, it’s important to know the signs of alcohol abuse to recognize when it’s time to take action on behalf of an affected employee. Employees suffering from an alcohol problem often deviate from their regular work schedule and may skip work or arrive on the job late. Employee absences due to a drinking habit may grow more frequent as the problem worsens. Similarly, these employees may forget or miss important deadlines and meetings, and often suffer from a decline in productivity and overall performance. Alcohol impairs both physical and mental performance. An employee with a drinking problem may suffer from various forms of impairment associated with either states of drunkenness or withdrawal symptoms. Furthermore, alcohol can have a long-term effect on the body, causing deterioration in health and coordination. All of these factors can contribute to an increasing number of small or large accidents associated with the affected employee, from dropped or damaged objects to serious injuries in extreme cases. An employee suffering from alcohol abuse may grow sullen and withdrawn, particularly when asked about his hobbies, his personal life, or his health. Especially if an employee was once friendly and forthcoming, a change in social habits should indicate cause for concern. Employees who abuse alcohol may also develop workplace difficulties and stop contributing to group discussions and projects. 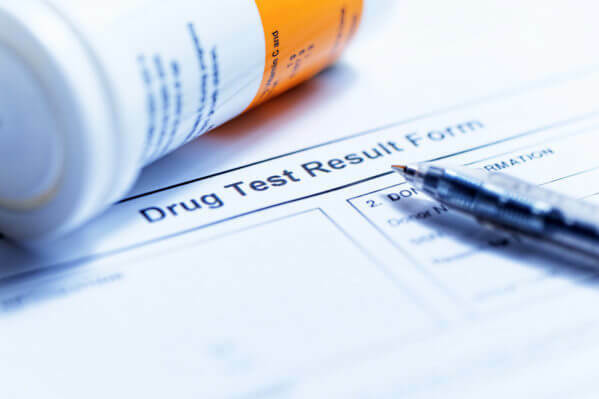 At Oschmann Employee Screening Services, we can help you develop and implement an effective workplace drug and alcohol testing and prevention program. Our Arizona company has been providing drug testing and training services since 1996; you can find out more about our compliance and testing solutions on our website, or reach us locally by phone at (520) 745-1029 or toll-free at (800) 224-8532.